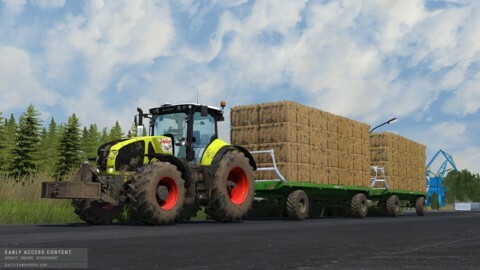 The Straw Update is shaping up, today we give you an insight into bale handling. The bales can now be skewered, stacked and transported. Before the Straw Update we want to give you another outlook on bale transportation. The update is going to the testing department today and we will use the next days to make some further optimizations regarding the handling, the Quadrant as well as the textures. The update is planned to be released at the end of next week.